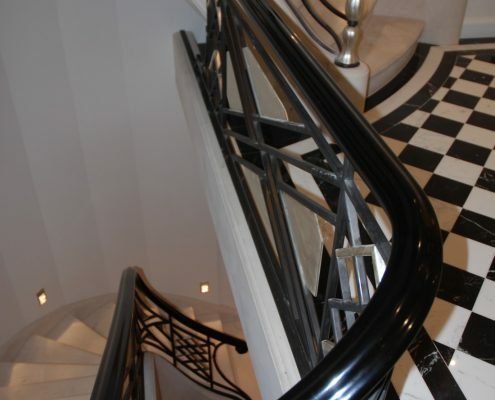 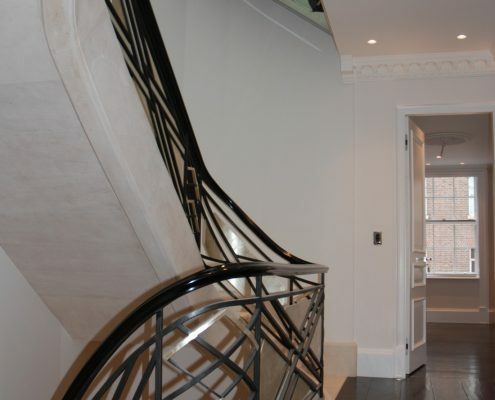 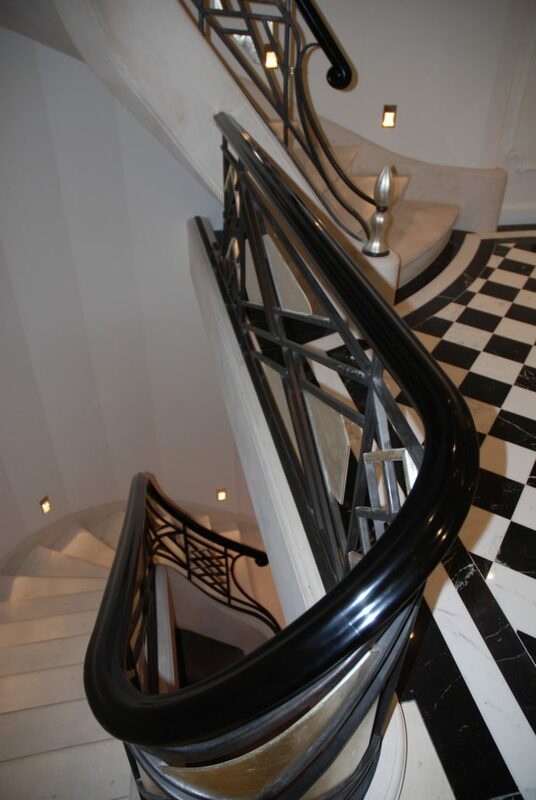 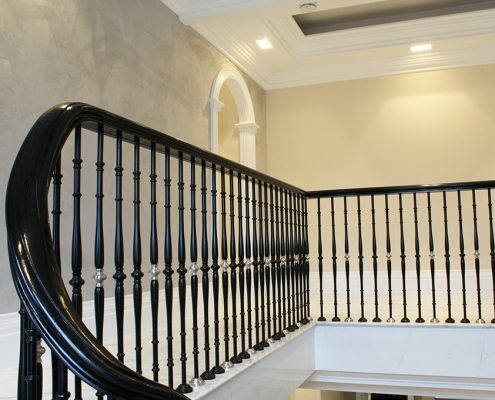 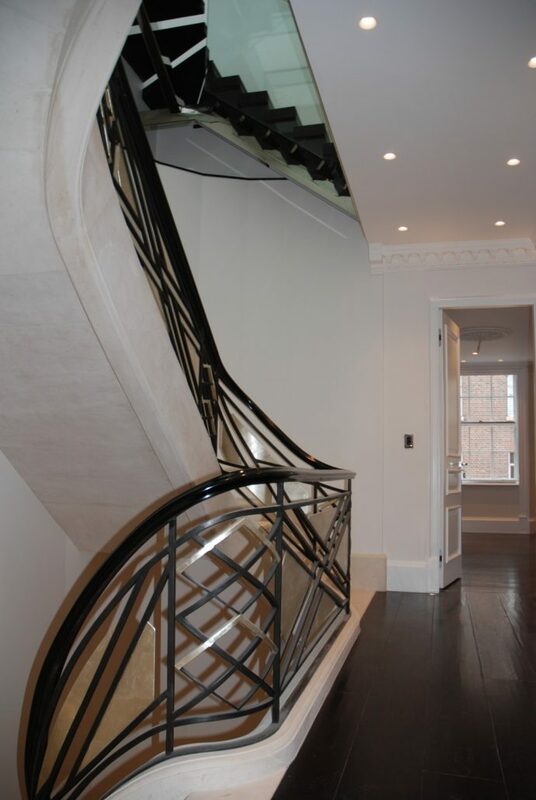 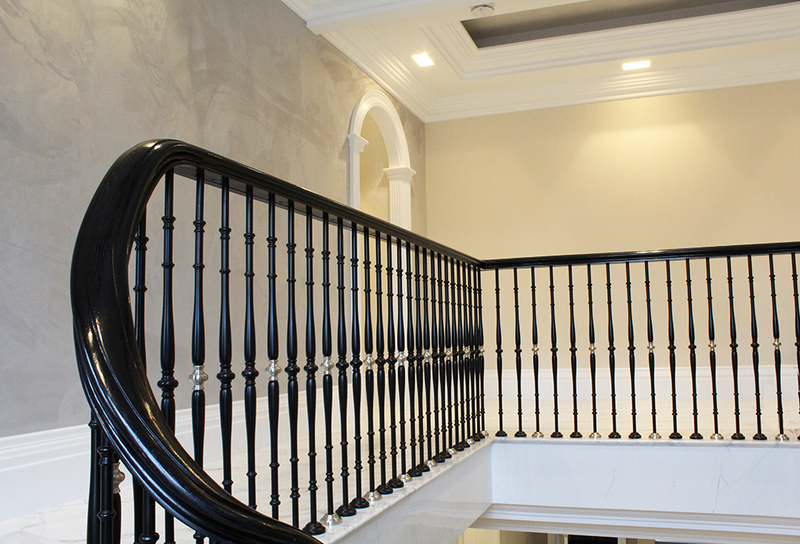 This five storey staircase in the heart of London was finished with one of our ‘frogs back’ sapele (mahogany) handrails, and stained black to help generate contrast against the solid stone staircase and steel / glass balustrade. 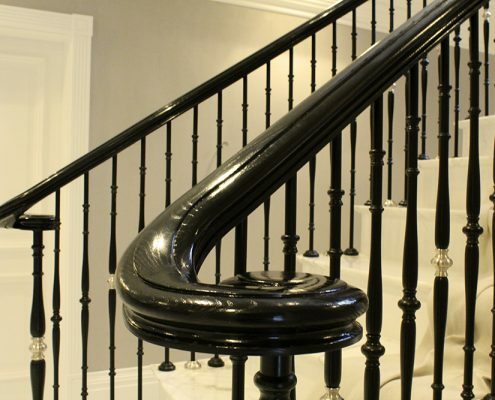 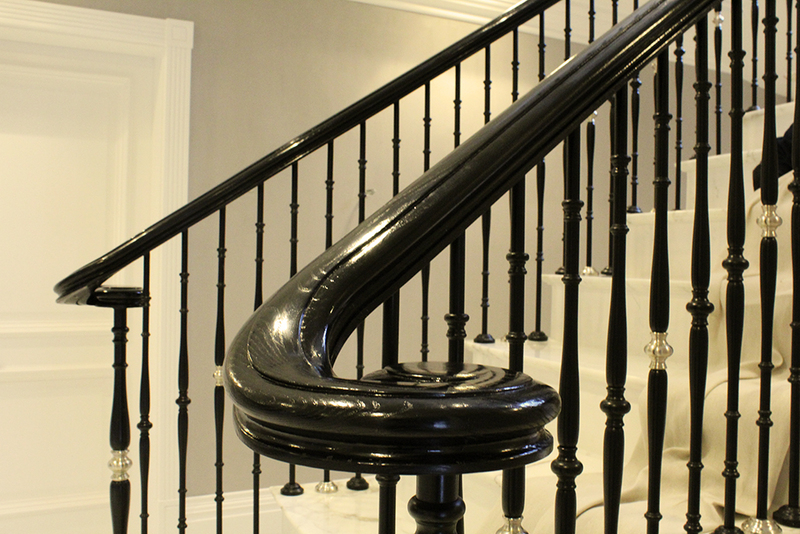 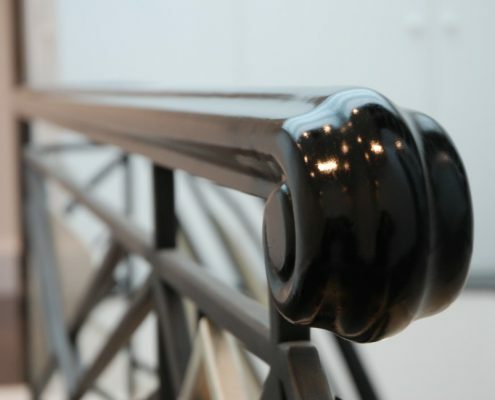 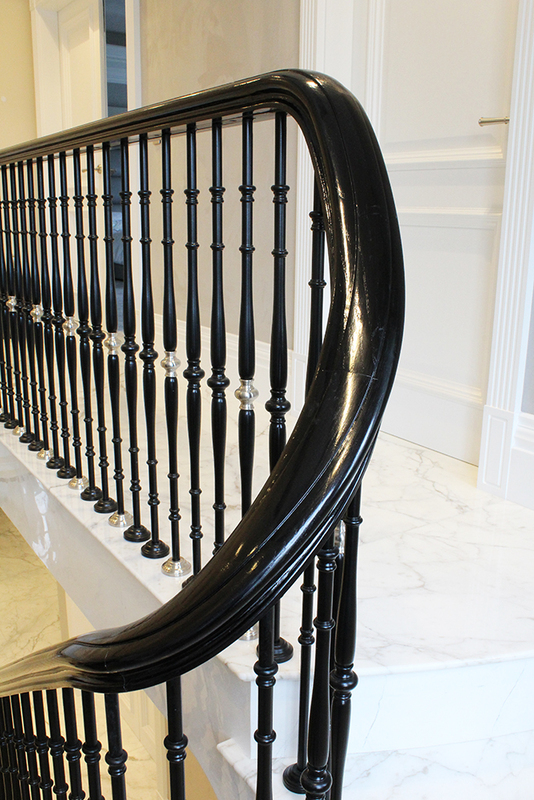 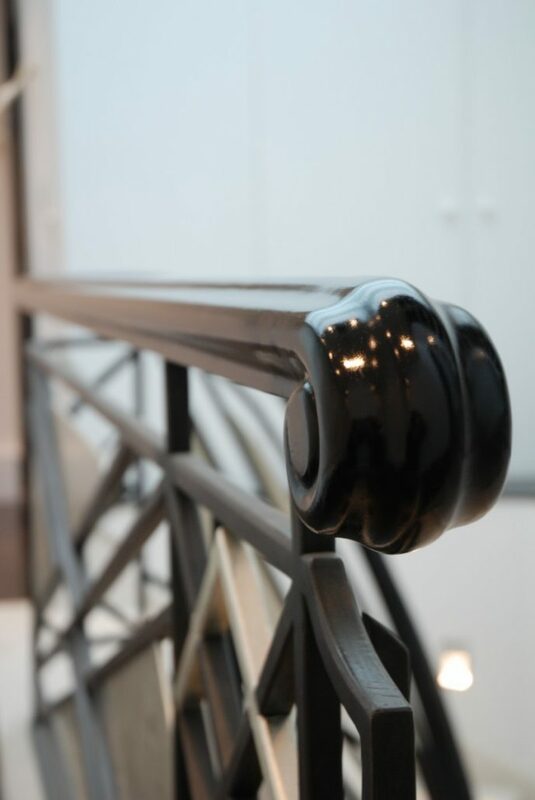 The client asked us to achieve a ‘piano black’ finish, so the whole handrail was sealed to ensure joints were seamless before staining. 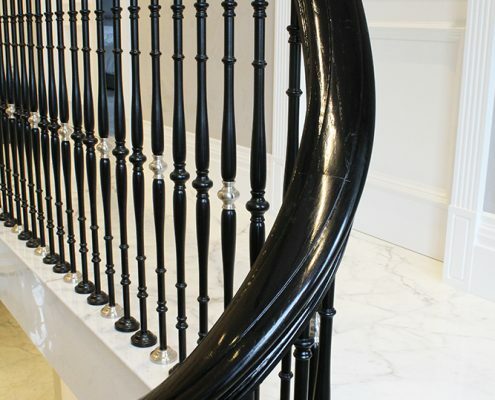 The 45 made to measure components all fitted perfectly first time thanks to our accurate surveying techniques.